Greece 1929. Greece tour promotion back in 1929.. Wallpaper and background images in the Greece club tagged: greece image athens promotion 1929 tour. 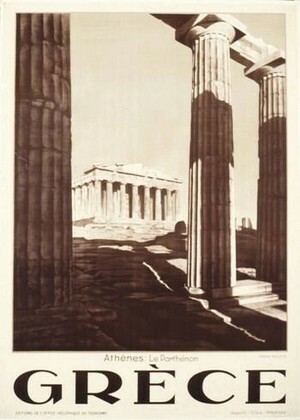 Greece tour promotion back in 1929. This Greece photo might contain kawasan bisnis, pusat kota, distrik bisnis, and downtown. Greece is in the puncak, atas "8" football teams in Europe!